Peppy, but still friendly—sort of like a terrier. This dry white from the South of France is quickly gets to the point on your palette with its racy acidity, and then expands and mellows. This is a great food wine. A workhorse for its intensity like the always-trying-to-please terrier! 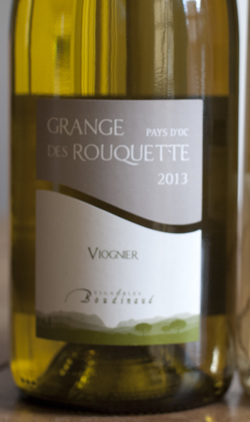 Viognier is expressive and aromatic in nature (like Sauvignon Blanc) and when blended with Marsanne, a fuller-bodied a counter point is created. For food pairings, order in some Thai curries and you will be set!